The Bible particularly the old testaments were written by men who weren’t there when everything happened. They wrote The Bible by the inspiration of the Holy Spirit. God inspired them to write things that happened when they were not yet even born. They saw things from God’s eyes like the creation of the world amongst others. Now, when you read The Bible, what do you notice/experience? You experience peace, you experience calmness. The Holy Spirit speaks to you through the Word of God, which is The Bible. But how is this even possible? It’s simple. The Holy Spirit inspired certain men to write The Bible. They wrote The Bible through the heart of God. Now when reading The Bible you are reading the heart of God. Now when reading The Bible you are allowing The Holy Spirit talk you. Now when you read The Bible you are reading God’s letters to you through His Holy Spirit. You allow yourself experience The Holy Spirit when you read The Bible. The Holy Spirit wrote The Bible through the men He inspired to write it. The Holy Spirit inspired these men to write The Bible thousands and thousands of years ago but when you read The Bible today, you still hear The Holy Spirit which is the Spirit of God talk to you. What does this mean? It simply means that God of yesterday is still the God of today and the God of tomorrow. The Ancient of days is His name. The Bible is the Word of God in print. When you carry The Bible you carry the Word of God. When you read The Bible, you carry God on your inside. P.S- The Holy Spirit is the Spirit of God and no one can see Spirits not to talk of the Spirit of God. 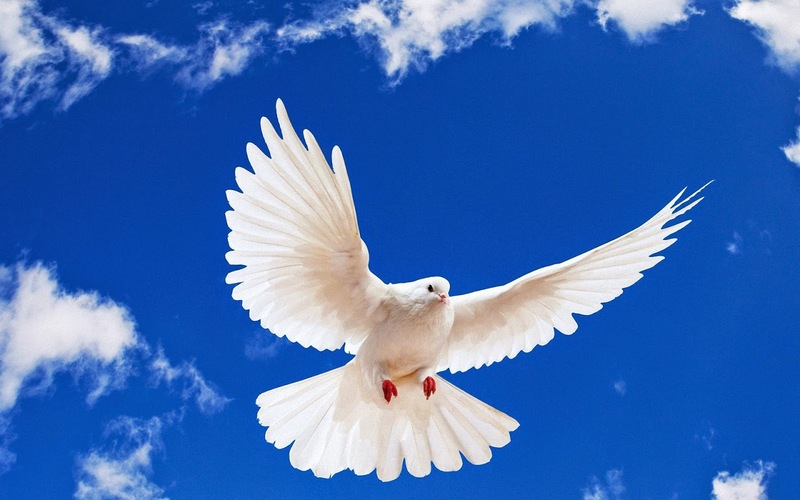 However, the Holy Spirit appeared as a dove to Jesus immediately He was baptised in Luke 3:22 (‘’ and the Holy Spirit descended on him in bodily form like a dove…’’). That is why I put the picture of the white above as can be seen above to represent the Holy Spirit in this article.